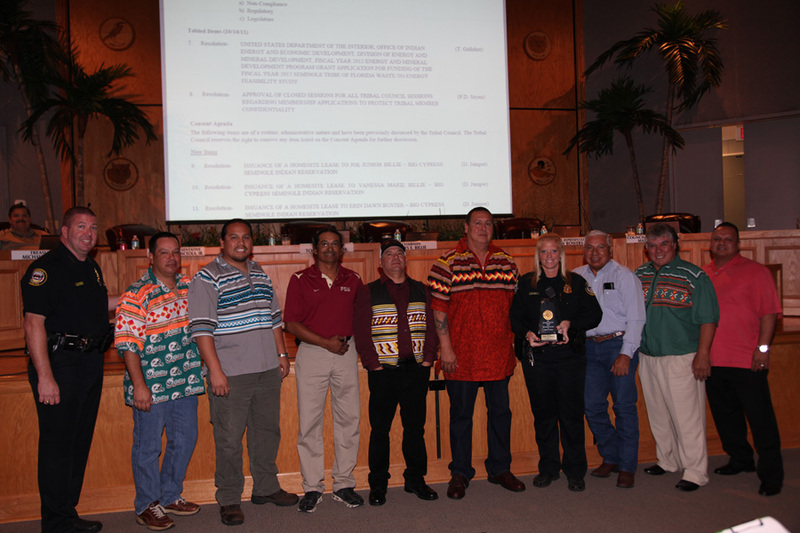 Tribal Council members congratulated four-year Brighton Seminole Police Department (SPD) veteran officer Holly Ramsey and SPD Chief William Latchford at the Nov. 14 Tribal Council meeting. During the meeting, Ramsey was recognized for receiving the U. S. Attorney General’s Exceptional Service in Indian Country Award, the highest honor given by the U. S. Department of Justice. 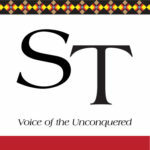 Ramsey was among 15 recipients in Indian Country to be honored; she helped solve a missing child/murder case on Wyoming’s Wind River Reservation, where the Shoshone and Arapaho Tribes reside.